Lanani calling...E komo may ! in an embrace that does not require the spoken word. if it carries a genuine Picasso signature. but for my acquired experience. but I will never be bought. the world is full of procrastinators. .......It takes no special talent to appreciate the beautiful pieces of body armor displayed in the world's museum collections, since it is art at its finest, hand crafted with a skill and proficiency unsurpassed in some 500 years. Yet, to comprehend the underlying nature of its origin and place in history, it takes more than admiration. In short, it demands an individual native to the language, history, and German traditions, only then can the profound impact the plattner profession has had on the past be realized to it's fullest extent. The more than one thousand, three-hundred year old hanseatic city of Bremen\Germany -where Karl was born and raised- kindled his earliest interest into the Middle Ages, especially the Renaissance. A time when plate armor had reached the peak of technical perfection and artful extravaganza, available to only the wealthiest of royalty and nobility. Karl apprenticed under a world renowned plattner in a south German city , where he was taught the "TRADITIONAL" way of forging armor, unlike today's welded sheet metal and mass produced hardware, machine stamped in Spain, India and various Eastern European countries. Specializing in the production of beautifully etched and embossed pieces of parade armor, a city recognized master plattner taught Karl a skill, which in its heyday has stood -and does to this very day- far apart from the makers of standard munitions armor, a skill once practiced by only the most talented of Renaissance artists who were in a class all of their own. Karl's early teacher and mentor has practiced the plattner profession for nearly one half of a century, even worked for Prince Bernhard of the Netherlands and the Royal Dutch Armory. Palaces and castles throughout Germany rely on his rare talent by producing the much more impressive style of personalized parade armor, while also doing restoration- and conservation work on museum armor. Among the many individuals, who -to varying degrees- occupy themselves with the making of armor, Karl is the only bona fide plattner with the necessary historical knowledge and skill, able to produce the same 16th-17th century, beautifully etched and embossed pieces of Renaissance steel, forged and tempered in the TRADITIONAL way...though no doubt, at considerable cost. Of course, Karl is able to produce similarly hand crafted items by incorporating a number of cost saving measures, thereby making them less pricy and more easily available to art- and armor collectors, who otherwise would not be able to afford a rare, one-of-kind item representing a piece of European history. Karl's skill and craftsmanship as a plattner stands alone, inspired by masterpieces of the past. Hand crafted, etched and embossed, decorated with cold enamel, rhinestones, gold-leafed or gilding on original Renaissance art, at times even adorned with current owners family crests or other custom designs, Karl's works are made for people from all walks of life. The majority of his creations are commissioned by corporations, insurance companies and law offices instead of paintings, sculptures or other investment pieces, and can be found throughout the country. Some of his more recent works (two etched parade armors in black and gold), displayed on raised, custom crafted, granite bases, grace the grand entryway of a new $ 4 Million Dollar  GOLDS GYM now 'HEROES' Health-and Fitness Club in Madison, WISCONSIN (Relocated to Las Vegas, NV in 2004). Not only collectors, but also small businesses demand Karl's creations for the purpose of drawing attention to their special enterprise. Photo studios, advertising and marketing companies, as well as theater groups and public libraries have taken advantage of Karl's (though still small) armor rental service and the most popular, ornate style of parade armor (the Archbishop FECHENBACH of: Fechenbachsches Schloss in Dieburg/Germany) has found its way -rented by the DEMCO CORP- to the 1994 national library convention in Atlanta.GA. The same company also featured this "Harnisch" as part of the cover page on their 1993 Fall catalog. In years past, Karl's works have been seen on various regional TV stations and aired on ABC TV's GOOD MORNING AMERICA with Morton Dean. 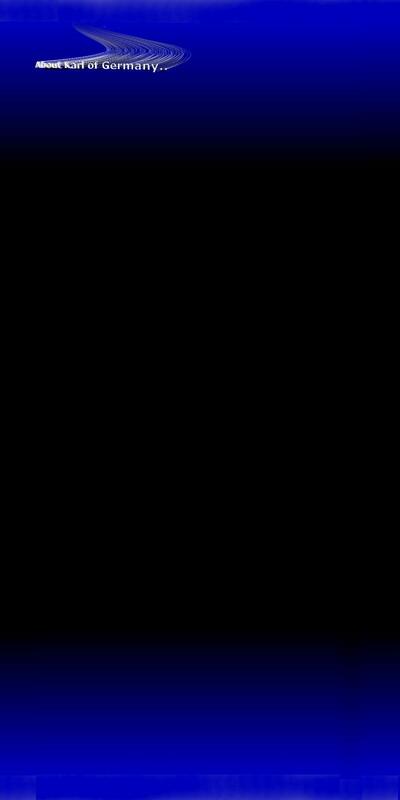 During 1995 special segments have been produced and aired on WITI-TV in Milwaukee and for CLTV-24 in Chicago, as well as appeared on the FOX TV Network. During January of 1996 a production by ABC TV Network News aired on WORLD NEWS TONIGHT with Peter Jennings and a feature on NBC's TODAY SHOW, as well as CNN is still in the planning stage. In addition, a two page article and color photo feature, originally produced by the 'Chicago Tribune' (distributed by the Knight-Ridder News Service) is still appearing in newspapers from coast to coast. Other stories and photos of Karl's rare skill have most recently been featured in the national "SUN" tabloid and in the March, April 96 issue of "MODERN MATURITY" magazine. 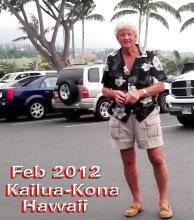 Live interviews on radio shows from Sioux Falls, South Dakota to Honolulu, Hawaii have helped garner an intense national interest in the plattner profession, and Karl's work in particular. Most recently, Karls work received special mention by commentator Roger Mudd on the HISTORY Channels ARMS IN ACTION program, a five part historical series. Further more, Karl's works have also been featured in the theater production of 'I HATE HAMLET' and in the July/August 1999 Gilbert & Sulivan production 'PRINCESS IDA' staged by the Madison Savoyards, which again found use in the July 20004 production of Gilbert & Sullivan's RUDDIGORE (or: The Witch's Curse). In spite of this, Karl is not ready to call himself a master until achieving his ultimate goal, namely to produce articles in the fashion and quality of some of the most talented masters of them all...especially Wolfgang Grosschedel, Lucio Piccinino and Filippo Negroli, whose works have had the most profound impact on him. Among the truly Great, their names rank universal, and their works hold a place of highest esteem in the most prestigious armor collections around the world. 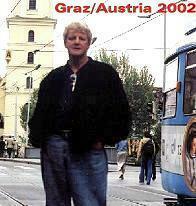 For this purpose Karl travels several times per year to Europe. 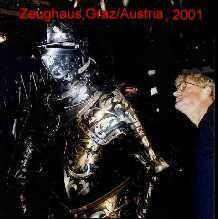 In late 1995 commissioned works required inspection and study tours to museums in Berlin, London and Wales, and during April/May 1996 to video tape one of the most incredible armor collections at the Rüst- und Waffenkammer of the Zwinger Armories in Dresden, formerly located in East Germany. A special visit to consult and work with his friend, world renowned plattner Walter Suckert in Germany (his work prominently featured during the tournament scenes, in the Arts- and Entertainment Cable TV documentary KNIGHTS & ARMOR) has materialized during that time. Again, in October 1996 Karl visited the newly established Royal Armoury in Leeds\England, the Wallace Collection in London, as well as the Rüstkammer in Emden/ Germany. Since then, Karl has teamed up again with Walter Suckert for a special study tour to the worlds best known museum comprising tournament armor, the National Germanic Museum in Nürnberg/Germany. Other important museums visited more recently are in Munich and the incredible collection of Schloss Ambras in Innsbruck/Austria. Since, due to prior commitments, a planned study tour to video tape actual tournaments at Landshut/ Bavaria (held only once every four years) -during the re-enactment of the"Landshuter Hochzeit" in 1997- did not materialize, Karl again traveled to Germany for several week during April/May 1998, where he worked once again in the workshop of his good friend Walter Suckert, (the worlds undisputed, most experienced Plattner of Gothic style armor) refining traditional forging methods, as well as visiting and video taping various armor collections, among them: those of the Veste Coburg and the -now being renovated- Heidecksburg in Rudolstadt in the state of Thüringia, located in former East Germany. Considerable time is also spend researching hand written original treatise kept in libraries and city archives of former major armor producing centers in Europe. Museum catalogs of every major and minor collection are Karl's daily staple and he is a subscriber to the ARMS & ARMOUR SOCIETY in London England, the most widely recognized organization bringing together scholars, collectors and professional experts. ...a word from Karl on the future of plattnering. With more overseas interest in my work as investment art (many firms and individuals in Europe and Japan are turning away from paintings and sculptures in favor of one-of-a-kind, personalized, artful parade armor.. to impress), so my priorities too have changed, demanding I concentrate entirely on commissioned armor only. This in turn requires forsaking the rental armor market. Because I specialize also in the design and production of personalized family crests, business logos and such as part of armor production, time is of essence, and previous goals for videos, etc. also have been cast aside. Certainly, I have an incredible amount of video material available and will deal with interested parties on an individual basis, yet no longer are plans to make armor videos generally available in the offing. Armor is no longer just for collectors. More and more individuals who previously have commissioned a suit of parade armor, return for an additional Harnisch. Frequently, the reason behind such orders are explained with the commissioner (wanting it for himself, but has trouble explaining it to the wife.....LOL) having more than one child, and eventually intends to leave a suit of armor to each offspring as part of their inheritance. Following is some old, but pertinent stuff to explain the current wedding pages. September 17, 2001 Karl is off to Europe again -this time to visit the Rüstkammer in Graz and the Hofjagd -und Rüstkammer in Vienna/Austria, as well as the Ruestkammer in Dresden and various other armor collections in Germany and the UK. A new Harnisch is also in the planning stages for a client in Martin/Republic of Slovakia, with whom I'm about to meet, while in Graz. After more than a month, Karl has finally returned from Europe with an incredible amount of video material and impressions beyond believe...............though, it will take time to edit all the material for viewing. Of course, another custom tailored Harnisch is also in the works, going all the way to a collector in Slovakia, which Karl had the pleasure to visit for several days. This Harnisch will be sported by Slovak businessman Mr. Peter Moric this April 13, 2002 during the nuptuals to his bride Lydia at a mountain-top castle. View the most recent of my -totally new design- crest for Peter Moric (and Lydia) which will be displayed on banners around Strecno Castle court yard during the wedding celebration. 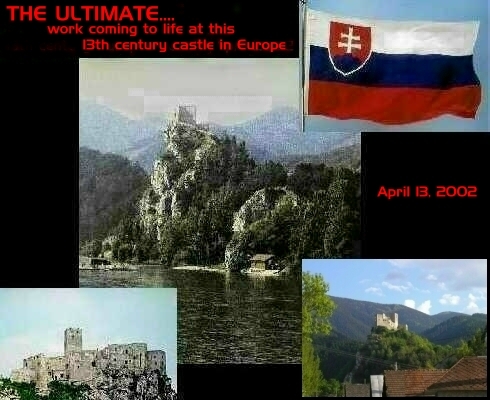 (STRECNO castle) near the city of Martin/ Republic of Slovakia. All in all, this was a most successful study tour ever. Aside from spending time in the German workshop of Master Plattner Walter Suckert (click to view some of Walter's work) Karl managed to return to Madison with a copy of LAKIN (as in: Sir Guy Francis Lakin, Bart) late keeper of the kings Armoury, a very rare 5 volume, leather-bound 1920 publication.........which he found by chance in Newport, Gwent, South Wales, Great Britain. And finally, a new video from the Hermitage Armoury in St. Petersburg has also come into Karl's collection ...a gift from Boris, a like-minded friend in southern Russia.